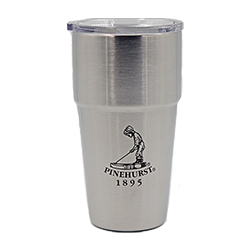 These Yeti Rambler pints with the Putter Boy logo are made with stainless steel--meaning they are puncture and rust resistant. Features double-wall insulation, for maintaining the temperature of your hot or cold drink. These pints are dishwasher safe.